Absorb more CBD faster with this 100% natural fruit flavored stevia sweetened delicious supplement without the bitter taste. 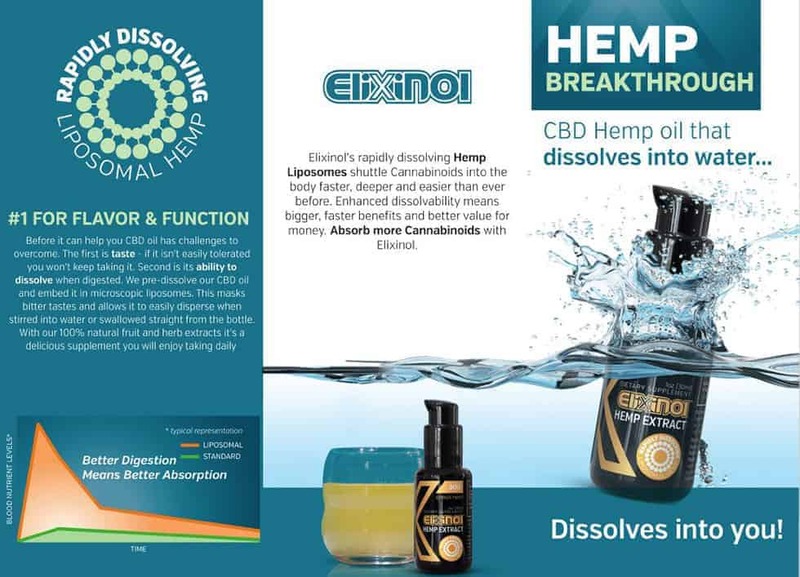 Elixinol’s new rapidly dissolving Hemp Liposomes are the latest enhancements to CBD delivery. 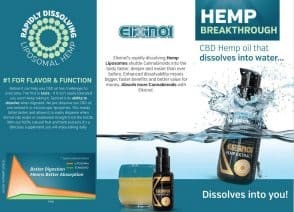 Now you can receive CBD into the body faster, deeper and easier than ever before. With 100% natural fruit and herb extracts it’s a delicious supplement you will enjoy taking daily without any bitter taste. 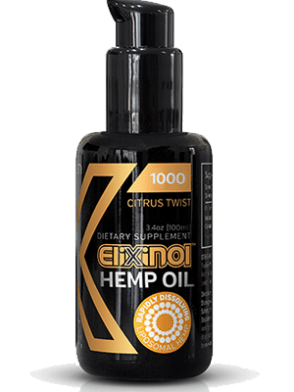 1 citrus flavored spill proof bottle containing 1000mg of water soluble liposomal CBD liquid. 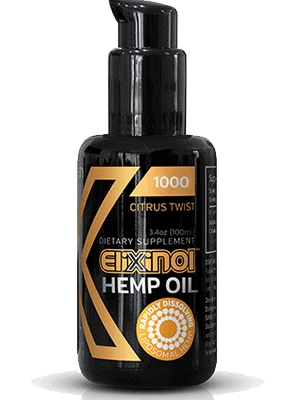 A 3.5 ounce bottle contains 1000mg of cannabidiol extract or CBD hemp oil. A suggested serving is 5 dispensable pumps taken under the tongue or added to water (that is then shaken) twice a day or as directed. Each serving will provide many valuable nutrients including 5 mg of CBD per serving. 5 mg of bioavailable CBD per serving, 200 servings. 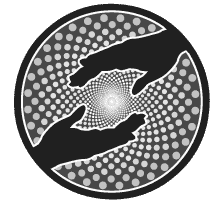 Full-spectrum hemp extract (no isolated or synthetic cannabinoids). Would you rather buy direct from Elixinol? Note: Although this is hemp oil and legal in most countries we cannot take responsibility for any customs / duty problems and will not refund for this reason. You agree to this condition before ordering. We ship by secure courier that requires signature.